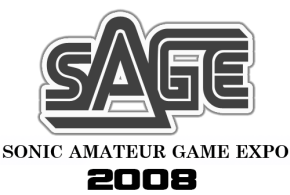 Revealed as a “bonus” at this year’s Sonic Amateur Games Expo, Damian Grove’s first public release of the ProSonic engine is now available to the masses. This release is basically 3 months of work. I made a LOT of progress, even though I’ll admit it’s not where I’d like it to be by this date. I can assure you this pace of progress will continue. As I’ve said before, this release is intended to at least allow you to get started on a game or level. Updates to the engine will be on their way, with many new features, bug fixes, and other things. I’ll talk about that stuff some more in the days ahead. Don’t fall to the bottom of a level — it’ll likely crash the engine. This is a bug I’ll fix. If you witness any crashes other than the one I’ve described, LET ME KNOW! Also, tell me what you like about this, and what you don’t like about this. Be honest — that’s what will help me improve it! Overall, I think this release will create some smiles. The problem was, it didn’t. Many called Grove out over the very incomplete nature of the engine. A few have commented on serious bugs that crash the engine, and some have even said the credibility of ProSonic has been damaged due to the rocky nature of the build. I set out 4 main goals I wanted to shoot for, and I gave myself 3 months to do it in. These goals were put out there on these forums. The first goal was to have a working player object in the engine. The second goal was to fix some major issues with the object handling routines. Then I wanted to create a full suite of editing tools for the engine. Finally I wanted to have some form of scripting. I have a working Sonic object that is a port of the original assembly code. That was done entirely from scratch and completed (with a couple bugs, but that’s it). I have fixed the bugs with the object handling system, and it now works the way it should. I created the sprite compiler, tile layout editor, block map editor, and collision editor all from scratch, and they work in full. I decided to go with 68000 emulation as a form of scripting for the moment. I had to write all the emulation code from scratch, bugging many assembly guru’s here for help and questions, and I got a vast majority of the instructions working flawlessly. I did all this in 3 months. A heck of a lot of progress, and I achieved it all. I’m very proud of that, and there’s more where that came from coming in the next release. Now most of the hype came from people following the progress. I hyped it a little, why wouldn’t I — it creates interest and gets people reading. I NEVER even expected to have this much hype and excitement over this project. I’m very grateful to those who have helped in spreading awareness and renewing interest! However I knew very well this could backfire, so I was careful to try and tone down some of the hyping done by a few others in here and ensuring them the engine would only be at a level to at the very least get them started making a game and test the levels. That’s absolutely true with this release. I also repeatedly said it was not a finished product and was simply the initial release to the public. If you want to read through [….] posts to prove me wrong, be my guest. But I’ve been 100% honest. Perhaps you’re mislead because you’re misinformed. I did not lie or exaggerate. Everything I said has been true. So I’m not going to let you or the trolls [….] who have had no confidence in me or the engine from the beginning and had nothing good to say spin this into something it’s not. Now I’m on the record in my defense, and I stand by every word I say. Grove is considering monthly updates to ProSonic, each build adding more features and fixing known bugs. Despite the initial criticism, this may be one engine to watch as it evolves and develops out.